A CBC Marketplace and Go Public undercover investigation has caught “repeated deception” by Bell sales reps going door-to-door in neighbourhoods outside Toronto. The investigation was launched after customers contacted CBC over Bell’s high pressure sales tactics. “Everybody can make a ton of money [selling Bell products],” said Mohamed Abdelhadi, the man who hired our producer, and who runs one of the third-party companies Bell uses for door-to-door marketing. As CBC’s hidden cameras rolled, sales reps knocked on door after door — misrepresenting monthly prices, promo deals, internet speeds and Bell’s “fibre optic network” reach, often using misinformation and omission of important facts to dupe customers. “The examples of the sales practices you provided are in no way aligned with Bell’s commitment to providing the best customer experience possible,” wrote spokesperson Nathan Gibson. Reps hired to sell Bell products were from third party company, Mox1 Business Solutions. Employees would wear Bell uniforms, carry company IDs and have leads provided by Bell, with pay led almost entirely on commissions. Uncover footage shows Mox1 owner Mohamed Abdelhadi, telling his sales team it’s “easy to make money selling Bell,” while distributing a misleading training script. 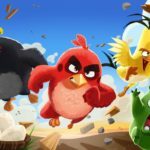 Public Interest Advocacy Centre (PIAC) executive director John Lawford, reviewed some of the CBC hidden camera footage, and said it suggests the CRTC should step in with a public inquiry. The PIAC’s previous attempt to have the CRTC investigate telecom sales tactics was recently rejected. 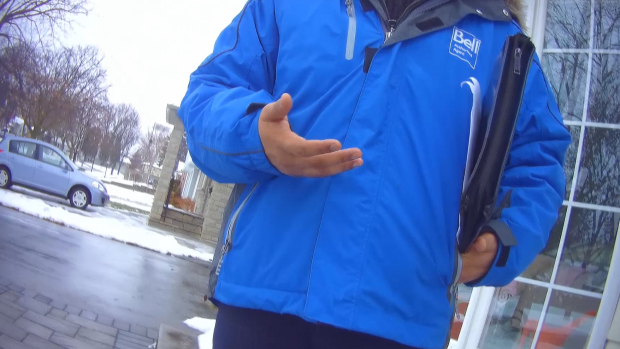 Bell told the CBC it has “implemented an immediate corrective training and compliance action”, and Abdelhadi and his employees will no longer sell Bell products door-to-door.